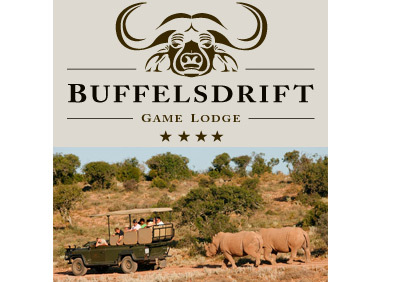 Just off the famous Route 62, Buffelsdrift Game Lodge offers you an escape to something spectacular. Experience an array of wildlife including elephants, rhino, Cape Buffalo, giraffe, hippo and over 200 bird species. Just a stone’s throw away is attractions such as the culture-rich town of Oudtshoorn, the Swartberg Mountain Nature Reserve, the Cango Caves and the Gamaskloof Valley (“Die Hell”).